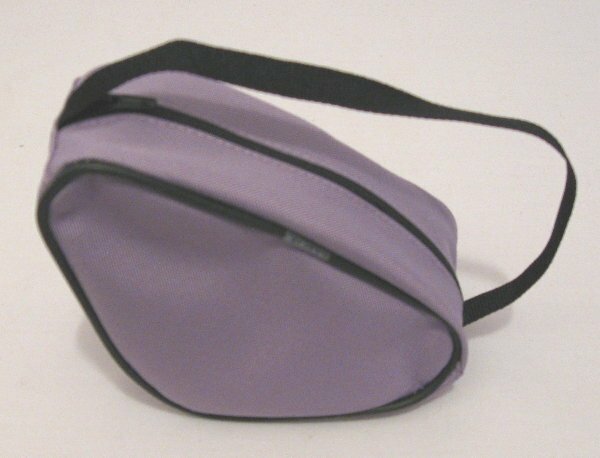 Lavender canvas sports bag with Ballet on the front. Bag measures aprox/ 5" long by 3" high. 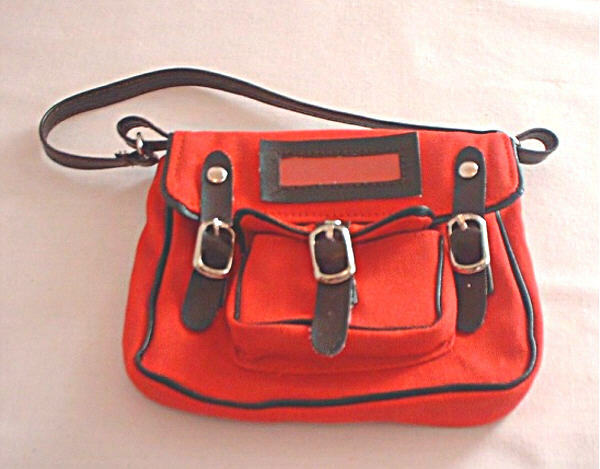 1940's type red canvas book bag. As seen in the Molly movie. Closes with Buckles. Measures 4 1/2" wide by 4" tall. Blue cavas sports bag with zipper closurer on the top. Measures aprox. 5" long by 3 " high. 2 3/4" X 4" Plastic drawstring bags. 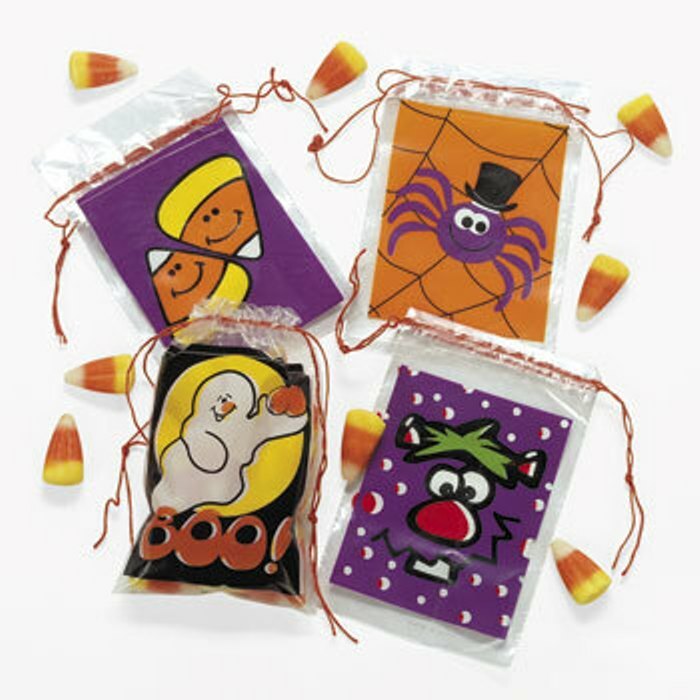 A perfect trick or treat bag for the dolls. No choice of picture. Choice of picture is ours. Black duffle bag with "I Love My Camp" on the front. Bag measures aprox. 5" long by 3" tall. Zip closure on the top.
" I Rock" bag. Black bag that has a velcro closure on the fold over front flap. Bag measures aprox. 5" long by 4" high. 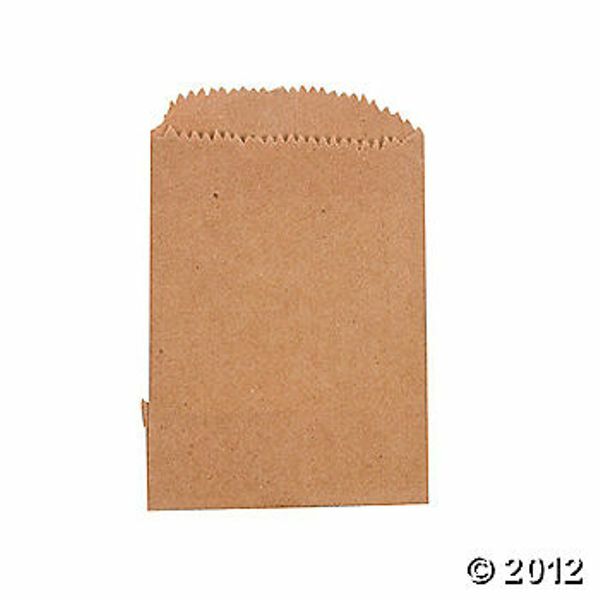 Small kraft bag. Measures 2 1/2" x 4". 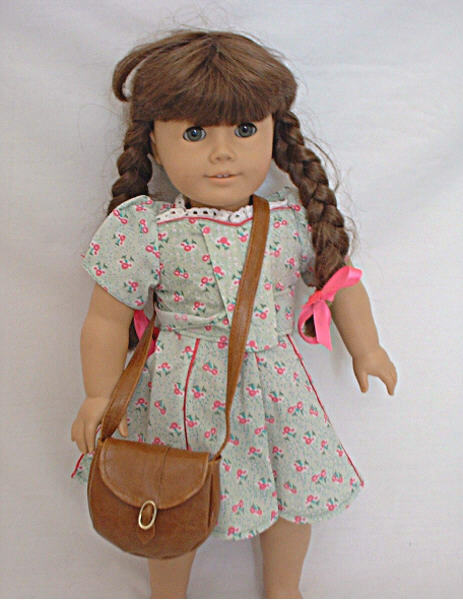 Perfect for your dolls shopping trips. 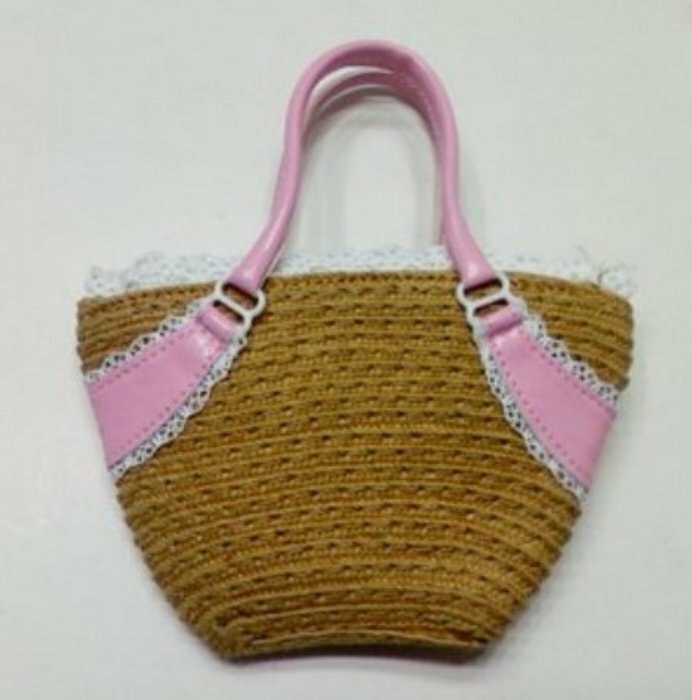 A cute accessorie for your dolls.